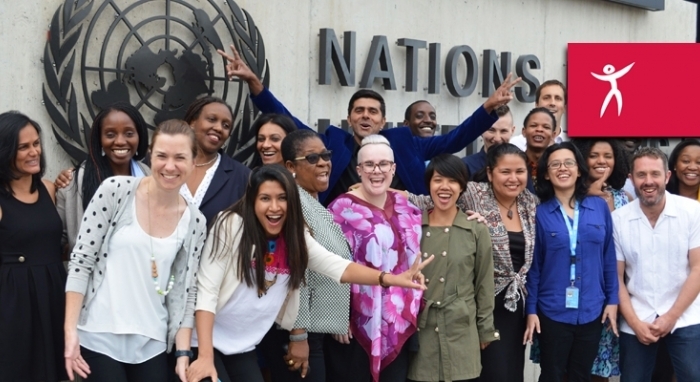 ISHR‘s Human Rights Defenders Advocacy Programme begins on Monday 29 May, with 17 human rights defenders from around the globe travelling to Geneva to learn about strategic engagement with the UN mechanisms. The programme equips defenders with the knowledge and skills to make strategic use of the international human rights system. It also provides an opportunity for participants to directly engage in lobbying and advocacy activities at the UN level to effect change on the ground back home. ISHR’s Training and Advocacy Support Manager, Helen Nolan, explains that this year’s HRDAP participants were selected from a pool of 380 applicants – the highest number yet. HRDAP coincides with the 35th Session of the Human Rights Council, and well as receiving training modules on all the UN human rights mechanisms from a range of experts, participants will have the opportunity to build networks in Geneva and around the world, carry out lobbying of UN member States and UN staff, and learn from peers from a range of regions working on a range of human rights issues. Karen Mejía to inform a UN expert body about the need to defend women’s rights activists and decriminalise abortion in Honduras. Are human rights videos making a difference? How Do We Ensure That More People Using Video Equals More Rights? | Yvette Alberdingk Thijm. Protection International [PI] is recruiting an Advocacy Officer. The Advocacy Officer is part of a team of three, with a Media Production Officer and an Outreach and Communication Officer, and works from PI’s head office in Brussels with occasional overseas travel. PI uses advocacy, alongside research and capacity building, to achieve a three-fold mission: empower HRDs to protect themselves, bring authorities to fulfil their duty to protect and to make stakeholders do more and better for the protection of HRD. Minimum three years of relevant experience in crafting and implementing influencing strategies in the field of human rights; specific experience in the field of the protection of human rights defenders is highly desirable. It concerns a one-year, renewable contract with a four months’ probation period, governed by Belgian law. 30 hrs/week under flexible arrangement. Minimal relocation package. The applicant will need to obtain a Belgian work-permit. To apply send your résumé, cover letter and names and contact details of 3 references by 6 April 2014 to the following email: recruitment[at]protectioninternational.org, making mention of ‘Advocacy Officer’ in the subject line. via Protection International PI is recruiting an Advocacy Officer Brussels, Belgium, 30hrs/week. You can Join the Center for Story-based Strategy CSS and the New Tactics community for an online conversation on Change the Story: Harnessing the power of narrative for social change from October 14 to 18. September’s Conversation on Media Tactics for Social Change now has a summary posted and in November there will be a Conversation on Visualizing Information for Advocacy, in partnership with Tactical Technology Collective. via Join our conversation on the power of narrative, this week!.